Our platforms are engineered for versatility and adaptation to a large range of experimental designs. 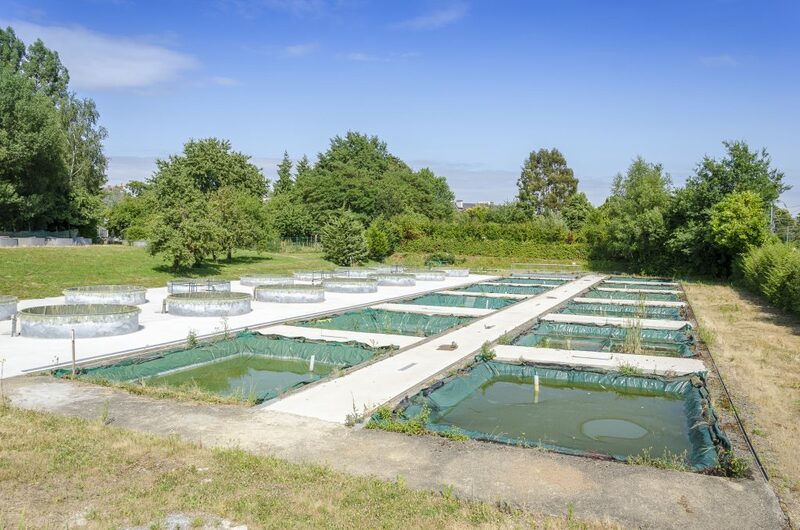 The Rennes platform includes about 200 mesocosms (0.4 to 30 m3) and allows for a high replication of experimental treatments. We can reconstruct pond communities from invertebrates to fish to study their response to external forcing (natural or anthropogenic). 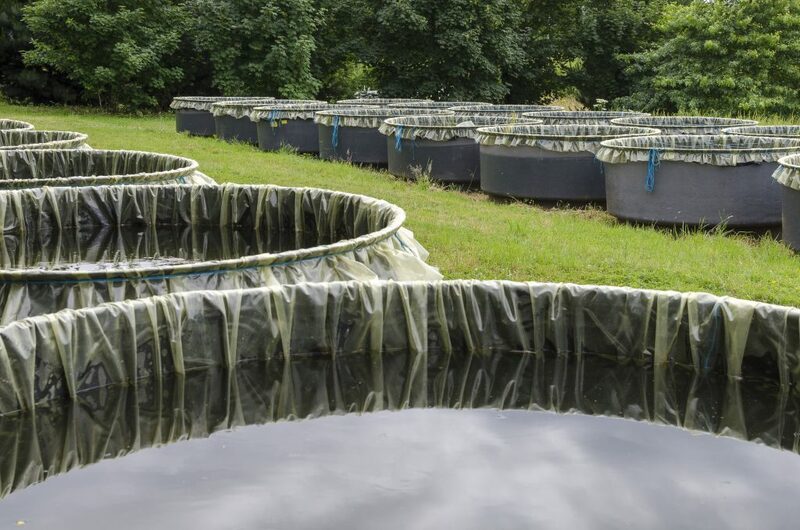 Our mesocosms are also equipped for ecotoxicology experiments and manipulation of invasive species (we are accredited and master confinement and treatment procedures). Additionally, a series of outdoor tanks are equipped for thermal experiments (up to 4°C above ambient temperature). The mesocosm platform is complemented with an 800 m2 indoor microcosm (10-to-400 L) facility in which we can accurately manipulate environmental factors, and where we routinely culture a variety of organisms (algae, plants, plankton, invertebrates, amphibians, fish…). 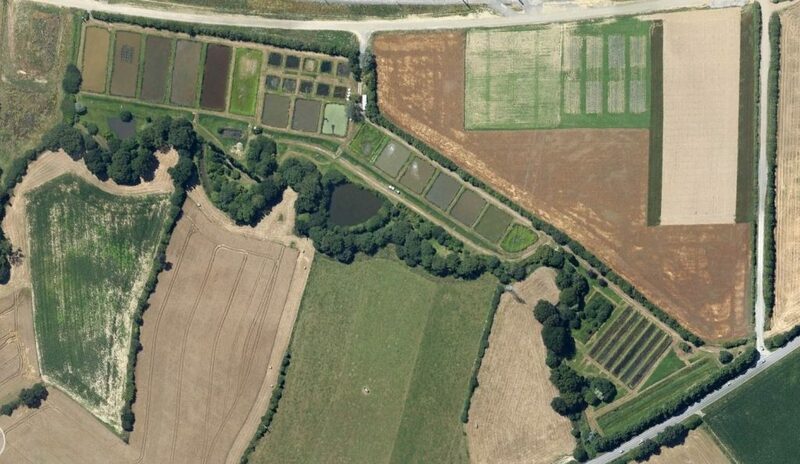 Finally, at Le Rheu (5 km from Rennes) we further propose a series of large earth ponds of 100, 350, 500 or 1000 m3, which all may be subdivided or installed with cages. treatment (heat chamber, hood), and temporary stocking (fridges, -20°C and -80°C freezers). Sclerochronology laboratory (scales and otoliths). PhytoPam for measurement of active chlorophyll concentration and algal productivity. Water samplers.Strong expertise in using electric fishing, acoustic cameras and acoustic tracking. Rennes mesocosm platform is located at AgroCampusOuest within the city of Rennes, a university city located 1.5 hours by train from Paris (Airport and train station in Rennes). On the campus, visitors have access to individual apartments, and many hotels are available in the vicinity of the campus.